Handcrafted Contemporary 1" Jasper / Agate Arrowheads - 12-pack | BUDK.com - Knives & Swords At The Lowest Prices! 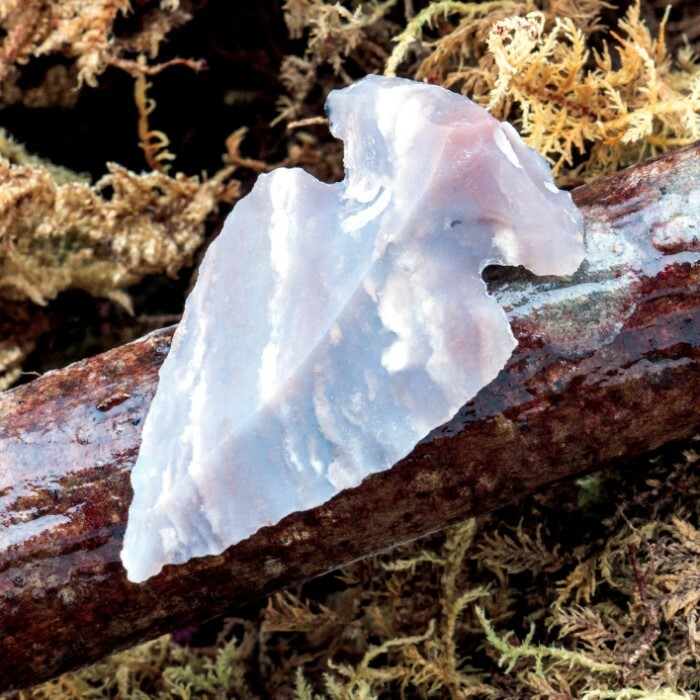 Our arrowheads are contemporary, delicately handcrafted from agate and jasper. They range from 1" to 1 1/2" in length and each will vary in color. 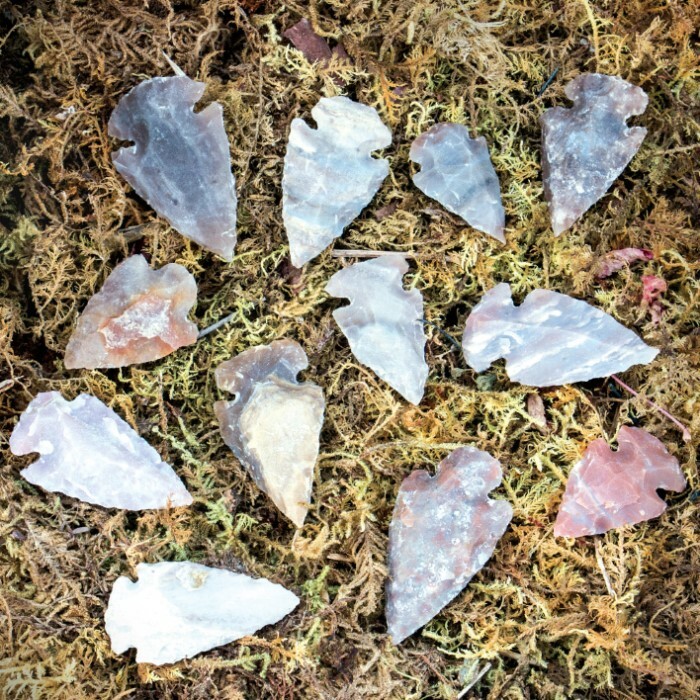 Includes 12 arrowheads. 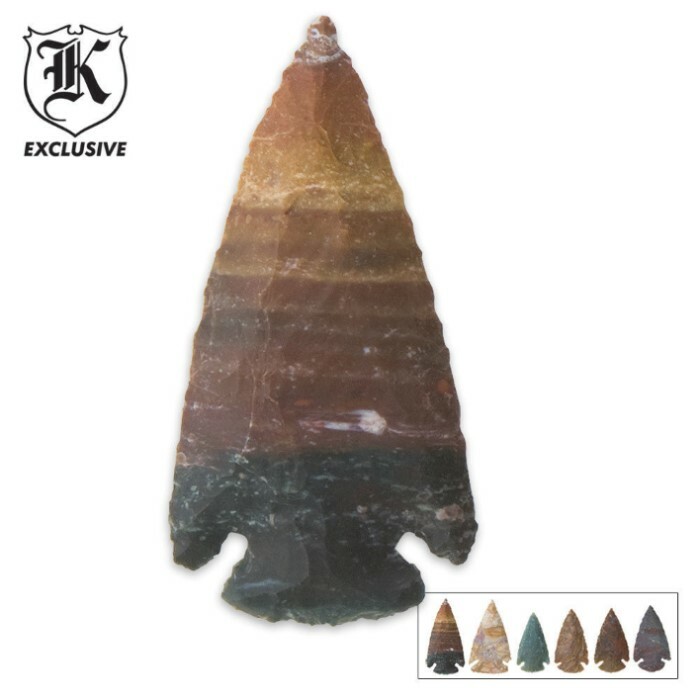 I used one as an inlay in a knife handle, the shape and knapping was excellent, there were multiple colors and sizes included. The agate was easily reshaped (for my purposes) with a diamond knife sharpening block. great conversation piece.....placed in a wooden bowl on table in cabin. My son has enjoyed the arrowheads he has made a neclace out of one and displayed the others, a very good quality product. This is the way to go if you, like me, aren't good at flint knapping. Be prepared. You will have to work a little on the points for sharpness. None of mine measured over 1" some smaller than that.They should be advertised as bird points. Overall good quality and I may order more. My grandkids love them. Just received my arrowheads they came quick in good condition . Very high quality , well worth the money. Another nice purchase from Bud K magazine. Smaller than what I expected, but they are still cool little additions to my collection. Thumbs up!